Endearing and enchanting, Dear Santa by Helz Cuppleditch is the perfect papercraft collection for your Christmas crafting! With its’ youthful designs alongside cute snowmen and gingerbread men, this traditional set will be a winner for the festive season. Better yet, the paper designs are sprinkled with a glitter layer to really capture a wintry feel and the matching embellishments are to die for! To enter, simply log in and press the button that reads, Enter this Competition! 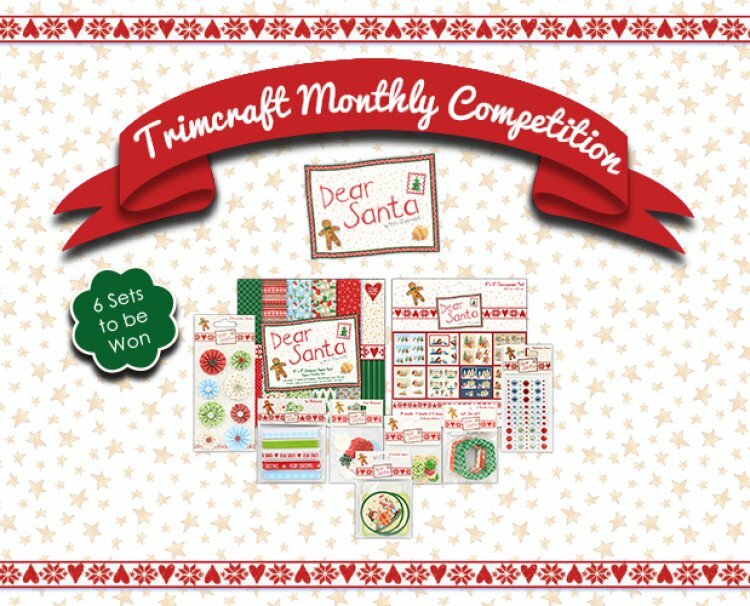 This giveaway will close on the 31st August so make sure you enter for a chance to win this incredible collection of crafting goodies, Good luck everyone!